These new verb guides seem very promising. Some of them (like the Azerbaijani verb guide) are over 500 pages long! They are all written by different authors, so I assume the quality of each will vary. 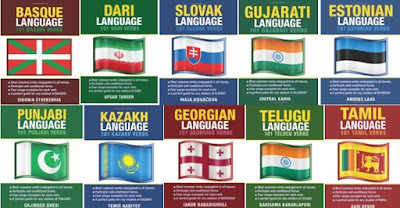 However, judging by the sample pages available on Amazon here, they look interesting, especially considering the lack of modern and affordable resources in some of these languages. 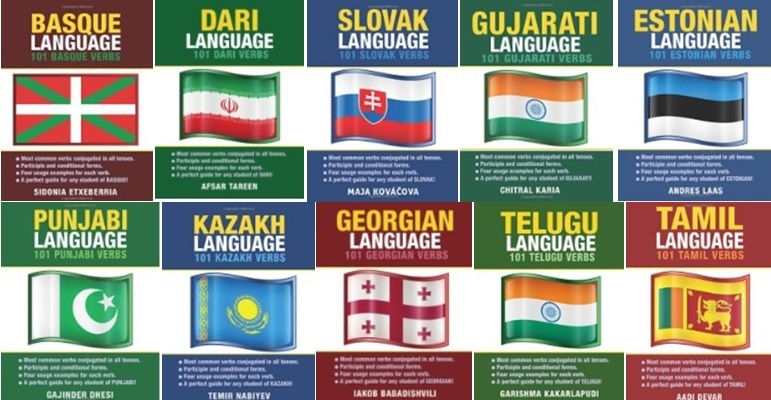 Languages available: Basque, Bengali, Dari, Macedonian, Pashto, Croatian, Urdu, Tamil, Telugu, Georgian, Estonian, Bosnian, Azerbaijani, Punjabi, Latvian, Burmese (Mayanmar), Kazakh, Hebrew, Indonesian, Catalan, Creole + more. There's even one for Esperanto, but I can't imagine why you'd need it because the verbs are so easy and regular.